Sara Quiroz is a Culinary Librarian at The International Culinary Center and writes the newsletter Snacks in the Stacks. 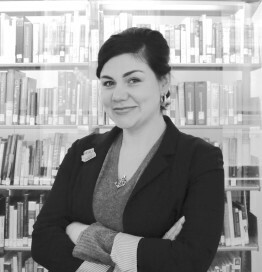 Quiroz holds a Masters in Library Science from the Pratt Institute and has worked in diverse libraries from Correctional Services on Rikers Island with NYPL to Universidad Francisco Marroquin in Guatemala City to outreach with Queens Public Library. She lives in New York City with her husband and dog. You can follow her on Instagram @snacksinthestacks.